Maple Village - Super clean & ready for you to move in! MLS#21631516. 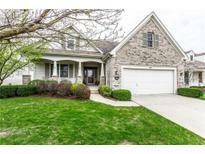 Keller Williams Indpls Metro N.
Waters Edge At Springmill - From sur sound to Dual heating system this home has it all. Welcome home! ! MLS#21630509. The Real Estate Group. Meadows At Springmill - Big yard with raised beds for your gardening touch. Location is prime. MLS#21629338. Encore Sotheby's International. 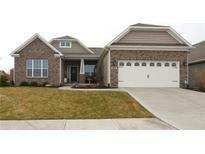 Quail Ridge - 2 Full Baths, Walk-In Closet in Master. Exterior trim recently painted. MLS#21629561. 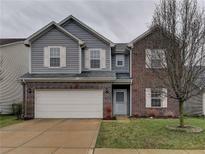 Keller Williams Indpls Metro N.
Lower level offers walkout basement with 3 bedrooms, 2 full baths plus game room/family room and bar! MLS#21629354. Prime Source Realty, LLC. Oak Manor - Neutral paint, new plush carpet, quartz counters, marble tile. Come and see! MLS#21630471. F.C. Tucker Company. 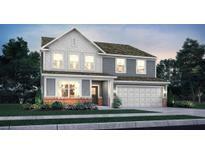 Valley View At Viking Meadows - Neutral decor and quality construction by G & G Custom Homes! MLS#21630475. F.C. Tucker Company. The Mckinley home includes several upgrades including 4 bedrooms, electric fireplace, bronze finishing package, tray ceiling in owner’s suite, a nook bay in the kitchen, stainless steel appliances, 10x10 patio and upgraded master bath. MLS#21627447. M/I Homes of Indiana, L.P.. Brand new home.Sellers have only lived there a couple months and they are being transferred.They hate to leave this perfect home.large open Gourmet kitchen with quartz counters,huge center island,breakfast bar,double ovens,stainless steel appliances and pantry.Extra large great room with gas fireplace.Flex room could be Formal living/or dinning.Office with tons of light.Built in family organizers.Nice large master bed with trey ceiling,2 walk in closets,double sinks,luxury oversized tile shower.3 additional bed all with walk in closets,2nd bath with 2 sinks.Upstairs laundry room and open Loft area.Nice size backyard with 16 X12 patio.2 1/2 car garage w/keyless entry.large backyard with beautiful pond view.Home is in perfect condition shows fantastic.Bld warranties transfer. MLS#21630343. CENTURY 21 Scheetz. 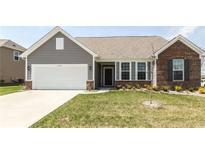 Maple Village - Close to gas, shopping, Highway 31 and more. Truly a must see! MLS#21630374. Encore Sotheby's International. Countryside - This won't last homes don't come open for sale in this area very often 3 bedroom 2.5 bath open floor plan with master suite main level freshly painted and move in ready neighborhood pool playground basketball and tennis courts and you are close to Colts training camp MLS#21630086. Complete Real Estate Solutions. 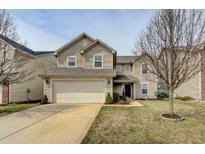 Sandpiper Lakes - Great location, close to restaurants and shopping. MLS#21627462. Carpenter, REALTORS®. Huge aggregate stone patio big enough for all of your outdoor needs! 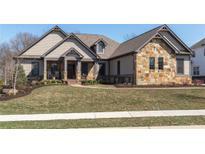 This house won’t last long!-- MLS#21630327. United Real Estate Indpls. 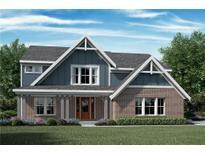 Custom details are found around every corner including finished lower level, 3 car & 4 minute walk to community pool! MLS#21628579. F.C. Tucker Company. Carey Glen - Walk to Carey Ridge and The Bridgewater Club. MLS#21629997. Tradewinds Real Estate Group. Waters Edge At Springmill - Upgrades: Maple square panel cabinets, cabinet over ref., staggered height wall cabinets, granite top in kitchen, cultured marble tops in baths, range smooth top, bar top on island,under cabinet lights, added recessed lights, electric start fireplace with gas logs, water softner, washable interior paint, laminate wood floors, wood window sills, blinds and drapes, raised vanity in master, tiled shower in master, frameless 3/8" shower door, custom shelving in closets and above washer and dryer, dry bar with wine cooler story't, 2 windows in story't, low-e glass windows, security system, flood lights front and rear,garage door opener w/keypad MLS#21626142. John J Schneider & Co, Inc.
Open concept Walk-out basement with 9' ceiling is GREAT for entertaining, has a wet bar with extra counter space for socializing, open to a large game/media room, full bath, 5th bedroom and a 6th bedroom/exercise room. MLS#21629750. Sigma Builders Real Estate, LL.